Time, it’s on my side, yes it is! You have heard the song, but have you mastered time? Are you, like most busy professionals, trying to do all, be all, for all? How would you like to learn how to move from “overworked and overwhelmed” to “productive and prosperous”? Tune in to The Unleashed Radio hour this Thursday from 10am-11am (CST) on Business 1110am KTEK (streaming live at www.UnleashedRadioHour.com) to learn about the productivity secrets of high achievers from New York Times best-selling author, Kevin Kruse. 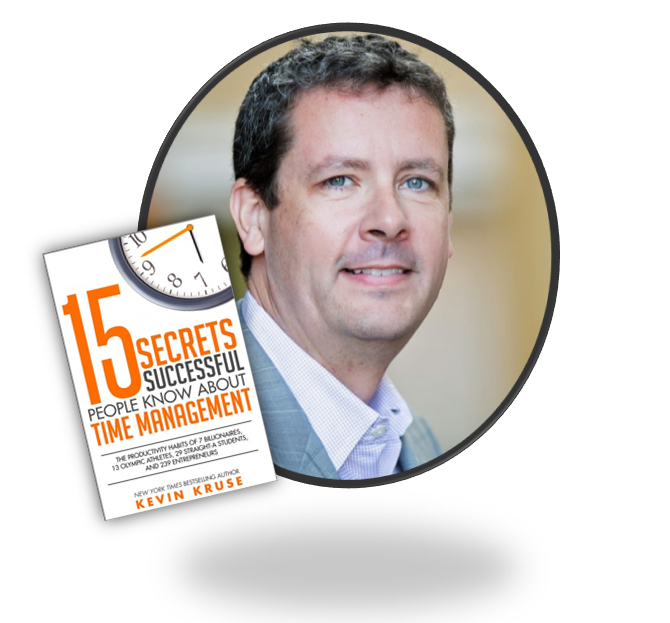 Kevin will dive into his research and latest book, 15 Secrets Successful People Know About Time Management, and share tips on how you can be more productive! This entry was posted in Book Club, Coaching, Education, Engagement, Entrepreneurs, Leadership, Productivity, Success Tips, Talk Radio, Work-Life and tagged Author, bestselling author, Book Club, Coaching, Engagement, Entrepreneurs, Interview, Success Tips. Bookmark the permalink.